If you liked Black Panther, the first Marvel film lead by a black superhero and a predominantly black cast, then you might love this: Marvel Studios president Kevin Feige just announced that a film including the Muslim superheroine Ms. Marvel is “definitely sort-of in the works.” While that sounds non-committal, there’s actually a good chance that it’ll happen and that it’ll be a pretty big deal. 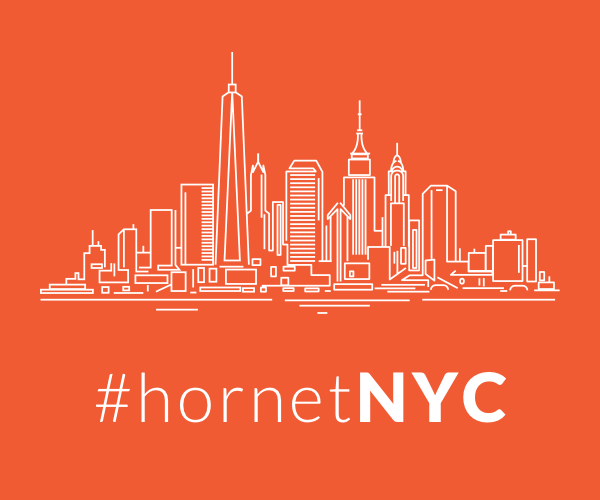 Here’s why…. If you caught the post-credits scene from the most recent Marvel film, Avengers: Infinity War, then you might’ve caught the star and stripes logo in the sky foreshadowing the arrival of Captain Marvel. Captain Marvel is the superhero alias of Carol Danvers, a woman interested in aeronautics who also has the gifts of super-strength and flight. Danvers has existed in Marvel comics since 1968. 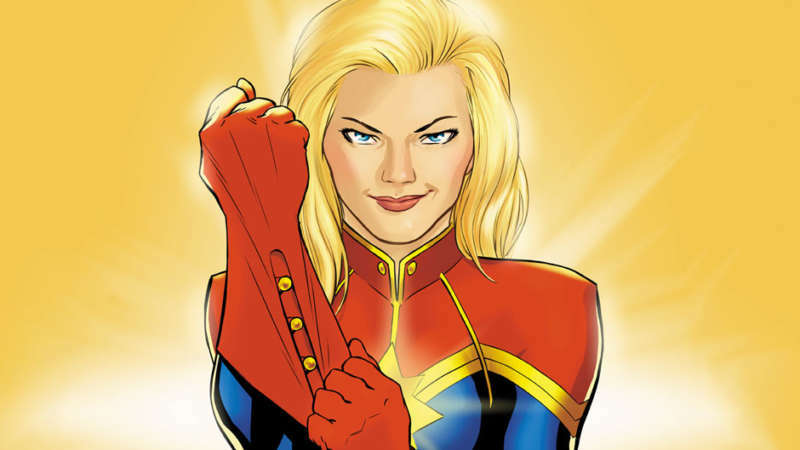 Captain Marvel was recently reintroduced in the comics in 2012. In 2014, she bestowed the title of “Ms. Marvel” onto Kamala Khan, a 16-year-old Pakistani-American Muslim from Jersey City, New Jersey who idolizes Captain Marvel and has the ability to shape-shift her body. 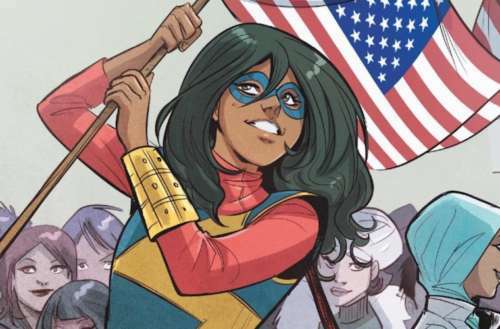 Khan got her own standalone Ms. Marvel comic book series, marking her the first Muslim superhero to headline a Marvel comic. She is a convert to Islam and wears a shalwar kameez (a long shirt and baggy trousers) rather than a hijab (a head scarf). Ms. Marvel’s creators wanted her to provide insights into the challenges of being a Muslim-American of color, but her adventures don’t focus on her Islamic faith so much as the challenge of rising above the labels imposed upon her. 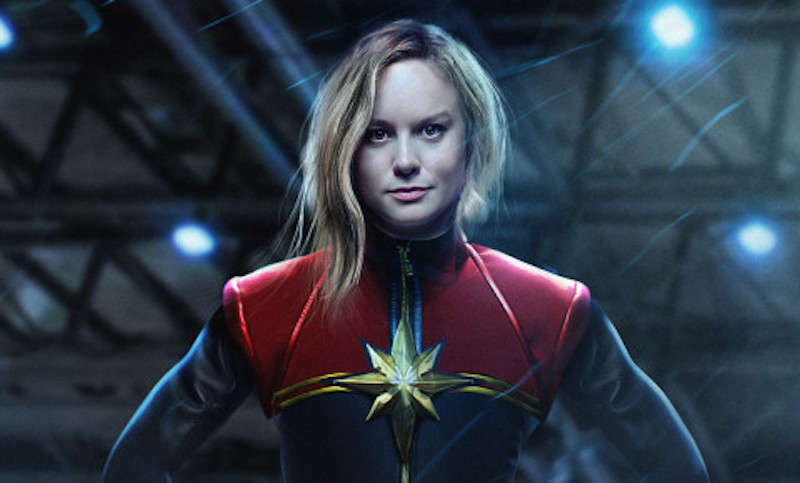 Marvel is planning to released the standalone Captain Marvel movie on March 8, 2019, and at that time it’ll be the first of the 21 films in the Marvel Cinematic Universe to feature a female superhero in the lead role. That means that Ms. Marvel won’t likely appear in the 2019 Captain Marvel, but she might make an appearance in another film later on (similar to how Black Panther first appeared in Captain America: Civil War before getting his own standalone film). If so, Marvel will have an obligation to cast a Pakistani actress to play Ms. Marvel (rather than whitewashing the role like they did when Tilda Swinton played The Ancient One, an Asian character in the 2016 film Doctor Strange). 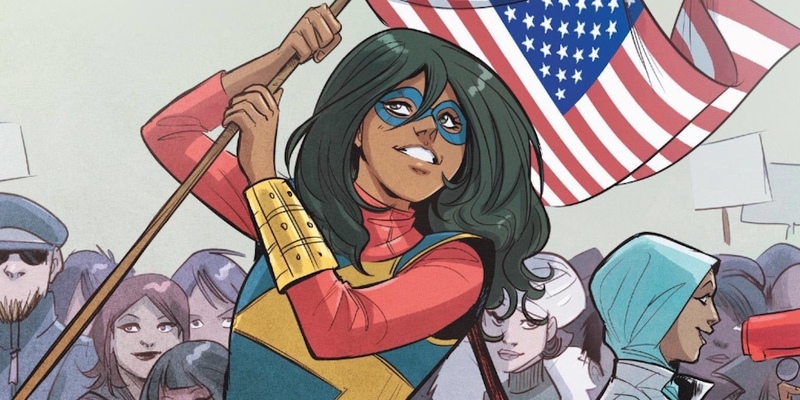 As the first-ever South Asian and Muslim superhero to grace the big screen, fans will be watching closely to see if Ms. Marvel gets her due respect and representation while breaking lots of new ground in superhero cinema. 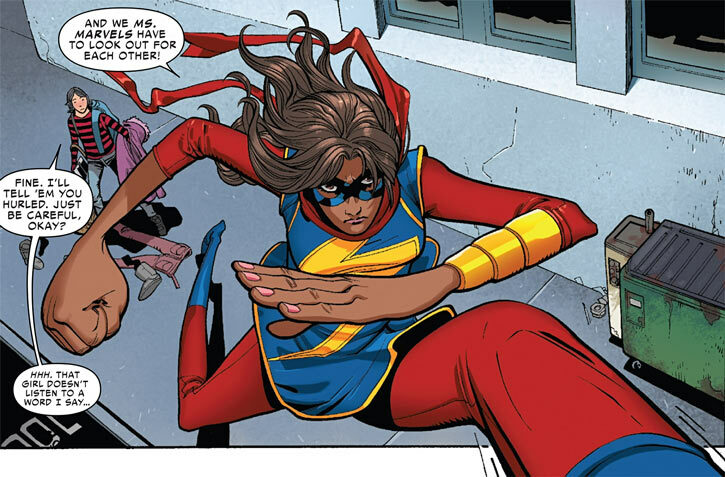 What do you think about the possibility of a Ms. Marvel film appearance? Sound off in the comments.